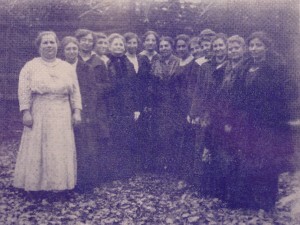 Succoth 1916. Left to right: Mesdames H.S. Schwartz, Hyman Podolsky, unidentified, Escovitz, J. Gross, Alex Hepps, M.I. Grinberg, J. Davidson, I. Grossman, Samuel Mervis, Aaron Weiss, Israel, Alex Lembersky, and Samuel Rosenthal. 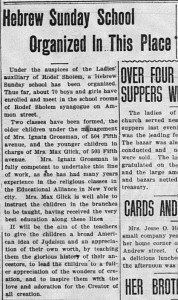 11/23/1907: The Ladies’ Auxiliary organized the first Sunday School at the shul. 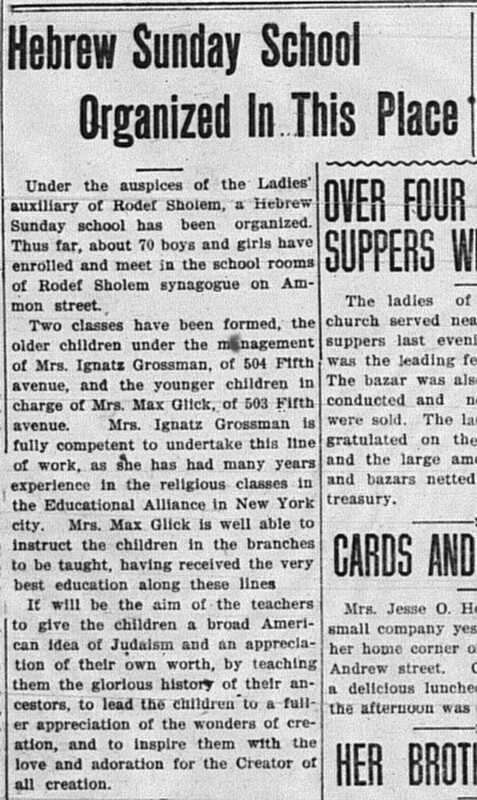 The Homestead newspaper reported on the Kishinev pogrom and subsequent fundraisers in 1905, but alas, not the organization of the Ladies’ Aid itself. Their first newspaper mention came in March of 1906. The article at right, written on the occasion of their tenth anniversary, gives some insight into their found and early history. 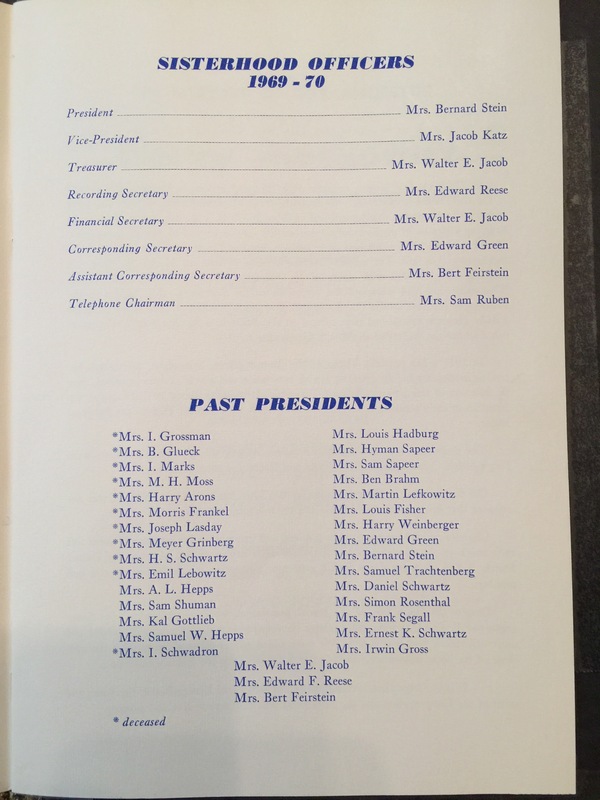 Very few records for the Ladies’ Aid (later the Sisterhood) survived — just minutes from 1945-1956 and a cashbook from 1955-1961 — but I am able to partially reassemble their history from the synagogue’s records, as well as the local Jewish and non-Jewish papers.